The Custard TV: 2014: Our picks for the best of the year. 2014: Our picks for the best of the year. So we've done it! We've reached the end of the year. 2014 wasn't as packed as last year, but when it was good, it was very good indeed. Sherlock - Series 3 (January 2014, BBC1) 2014 began with one of the most anticipated returns in a long time when we all sat round to found out Sherlock faked his own death. The first episode was by far the best of the three as we revelled in Sherlock and Watson reuniting and Watson meeting Mary. 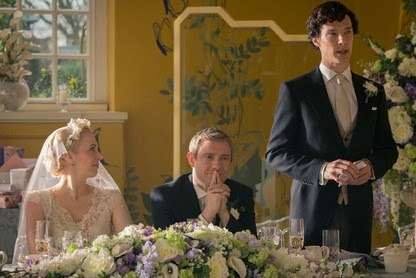 The second episode which focused on Watson's wedding left some viewers frustrated whilst the third took the series in a odder direction. It was by no means a great series of Sherlock, but any series of Sherlock is better than none at all. With a special planned for the new year we hope Moffat and Gattis can get the series back on track. Line of Duty - Series 2 (February 2014, BBC2) We loved the first series of Line of Duty, but the second propelled this superb police procedural from Jed Mercuiro into a different league. It was gripping from the word go with stunning performances from Keeley Hawes and Mark Bonnar. It may well be one of the best crime dramas on BBC Two ever! With a third planned for 2015 we're literally beside ourselves with excitement about where Jed will take us this time. Inside Number 9 (February 2014, BBC2) Steve Pemberton and Reece Shearsmith had a good year together and apart. Steve engrossed us in Happy Valley and Reece gave a wonderfully creepy as real life psychopath Malcolm Webster in ITV's The Widower. But they're still at their best when together. Their unique form of storytelling along with skilfully crafted characters has always meant their shows are worth a watch, Thier new anthology of stories, only linked by the number 9 was a true comedy masterpiece. Each one was a good as the last but the silent episode 'A Great Night In' is possibly the comedy highlight of the year. Chris O'Dowd's autobiographical sitcom went from strength to strength this year as it entered the 1990s; focusing on World Cup fever and the Sega Megadrive. David Rawle excelled once again as Martin experienced first love and, in one of the series' best episodes, took a trip on a ghost raft. Everything built up to a final excellent episode where Martin's sister Fidelma was desperate to get married despite going into labour at the same time. Based on the quality of the first two series, we have high hopes for the third run that is set to air on Sky One some time in 2015. Although it delved into themes of mental illness in series one, Tom Bidwell's drama got incredibly dark in series two. Sharon Rooney portrayed Rae's body issues perfectly as she ended her relationship with the lovely Finn due to her own fears. The supporting cast also got their chance to shine namely Jodie Comer as Rae's best mate Chloe and Claire Rushbrook as her pregnant mother. 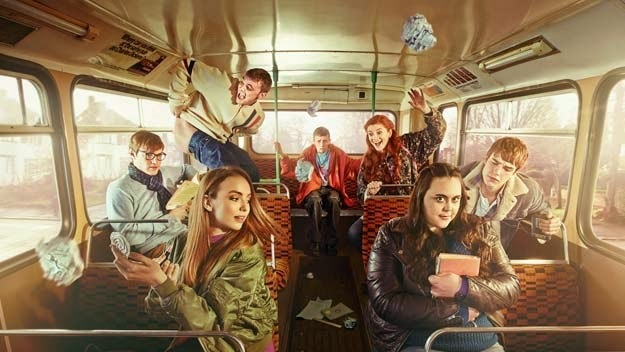 The mixture of laughter and tears made for an excellent second series of this coming-of-age drama whilst the 1996 setting appealed to us here at the site. The perfect ending makes us worry that the the story won't be as strong in series three but at the same time we have faith in Bidwell's storytelling ability and the brilliant central performance of Sharon Rooney. 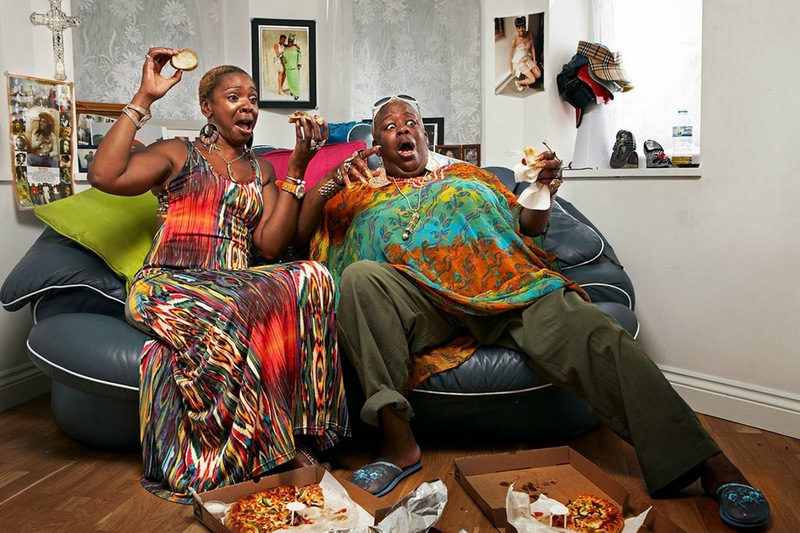 Gogglebox (March - May & September - December 2014, Channel 4) We always loved this wonderfully honest series but it seemed that this was the year for Gogglebox. Initially a lot were dismissive of a show that focused on people watching TV but Gogglebox is so much more than its premise. It's a commentary on modern Britain, it's a the funniest thing on TV and it's the equivalent of meeting up with old friends each week. We love it and long may it continue. 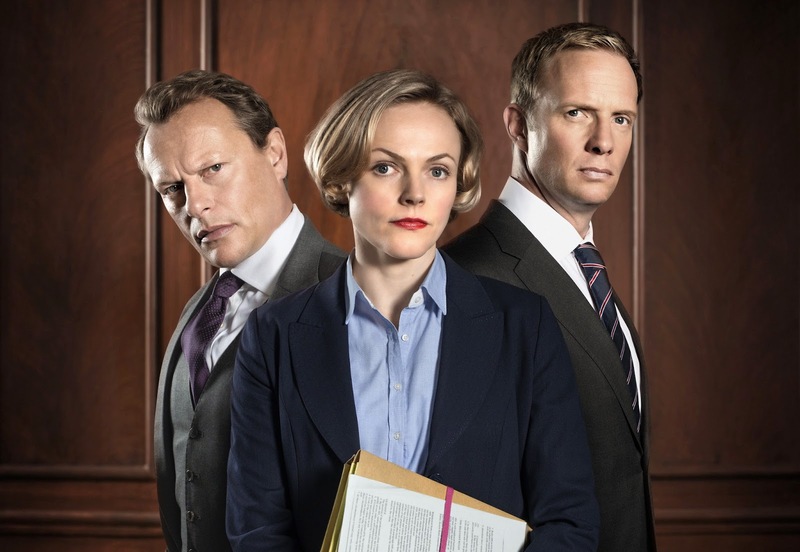 Silk - Series 3 (March 2014, BBC1) We've always been a champion of Peter Moffat's exemplary law drama starring the hugely talented Maxine Peake. Sadly its third series was its last and if we're honest the final episode saw it go out in more of a whimper than a blaze of glory, but the series itself was as strong as ever and it's another example of a series we'll miss in years to come. The third series of James Wood and Tom Hollander's marvellous sitcom took on a darker edge this year as the latter's Adam Smallborne had a crisis of faith. Each episode was masterfully crafted, wonderfully funny and contained some real thought-provoking moments as each character was put under the microscope. Hollander, Olivia Colman and Simon McBurney were all fantastic and we're just hoping that we get at least one more visit to the parish of St. Saviour in the Marshes. The second series proper of the Inspector Morse prequel built on the promise of the first with four episodes of superior quality. Each instalment was vastly different in tone from the ghostly of 'Nocturne' to the department store mystery in 'Sway'. The series built up to an incredibly fraught conclusion in which Morse was wrongly arrested for murder and his mentor Fred Thursday was fighting for his life. These scenes were made all the more poignant thanks to the incredible chemistry between leads Shaun Evans and Roger Allam whose partnership as Morse and Thursday has been fantastic. 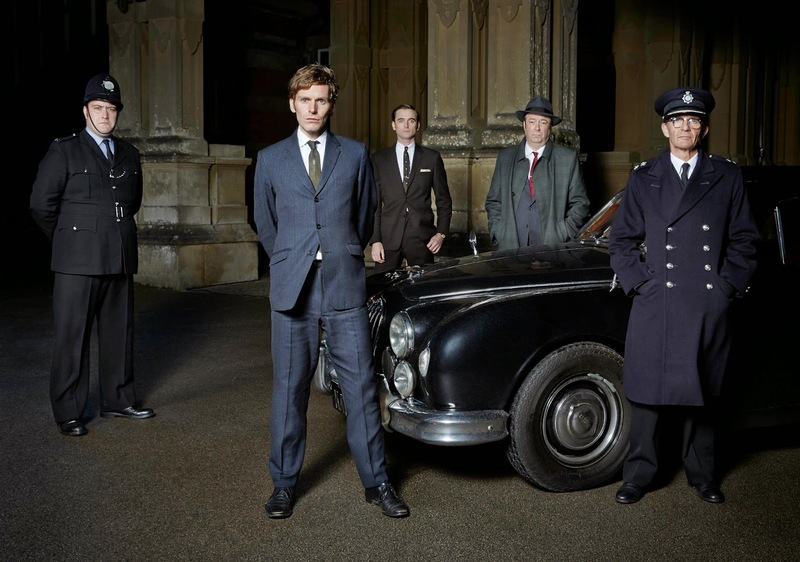 Luckily for us viewers we'll get to see what happens next as Endeavour will return for a new series in 2015. Prey (April 2014, ITV) This high octane fugitive story took us on a real rollercoaster ride. It may've only been three episodes but with strong performances from leads John Simm and Rosie Cavaliero this cat and mouse chase of a crime drama was unmissable. Happy Valley (April 2014, BBC1) There's very little to say about Sally Wainwright's masterful six-part drama that hasn't been said before. We loved it! 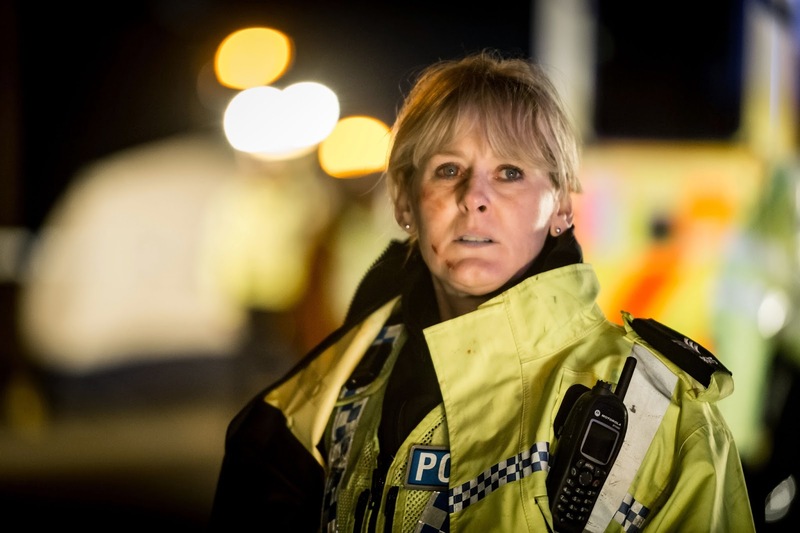 As strong as our list is, Happy Valley stands head and shoulders above the rest, treating us to a nail biting and engrossing drama, the likes of which we haven't been as drawn in by for a while. 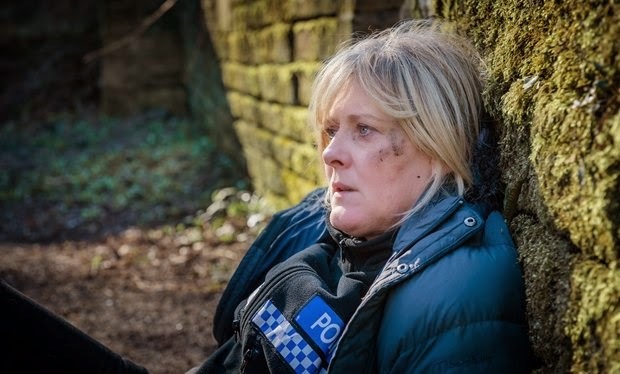 Sarah Lancashire's incredible performance coupled with the sheer perfection of Sally Wainwright's scripts made this the best drama of the year. It was revealed we will be getting a second series and if we're honest we're already sceptical about, but with Wainwright at the helm we're bound to be drawn in second time round. After a successful three-part outing last year, 2014 saw Dominic Mitchell's zombie saga granted a full series. This allowed the writer to explore the lives of the PDF sufferers in more detail as well as focusing on the themes of immigration and xenophobia. The young cast were particularly great whilst the beguiling visuals meant that Mitchell's ideas came to life perfectly. As the second series ended on a cliffhanger, it's frustrating that Mitchell might not be granted the third run that he so richly deserves. Life & Death Row (May 2014, BBC3) This extraordinary three-parter is example of why we'll sincerely miss BBC3 if the closure (sorry move online) goes ahead. With access to those on death row and the families their crimes affected, it was a fascinating insight into the America we rarely see. Documentaries like these show the importance and relevance of BBC3 and the news of its proposed closure was both the most unexpected and unwelcome TV news of the year. My Last Summer (June 2014, Channel 4) You may have missed this one as it was a post 9pm documentary on Channel 4 just before all TV was taken over with that football tournament. Often difficult to watch, and heartbreaking this four-parter focused on people with life limiting conditions who got together for one summer to discuss what it's like to know you're at the end of your life. Sadly as the life affirming series ended with only two of the original contributors still alive. As heartbreaking and terrifying as we found it, it is included because we believe it was an incredible piece of documentary making that served not only to shine a light on the fact that such things can happen to any one of us, but also to celebrate your life everyday. Common (July 2014, BBC1) Regular visitors will be more than aware about our site wide affection for writer Jimmy McGovern. This year saw only one outing from McGovern in his thought provoking drama Common. If we're painfully honest this wasn't perhaps as riveting as we'd hoped but was still an important drama raising awareness of a law that too few people are aware of. 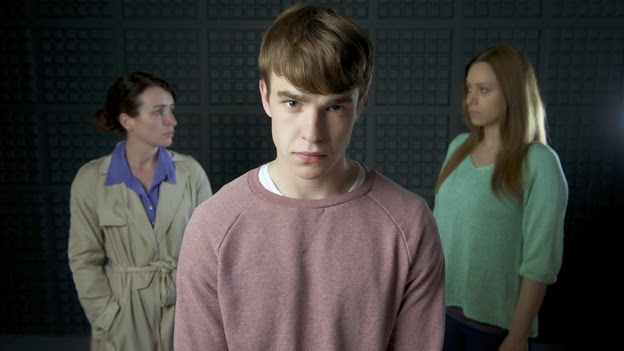 A strong central performance from Nico Mirallegro made this a memorable one-off drama. When the first series of Utopia ended we weren't sure if Dennis Kelly's subversive drama would return; but we're more than glad it did. It's a bold writer who stars a series with a whole prequel episode but Kelly did just that by exploring the backgrounds of Janus and the relationships between the older characters. 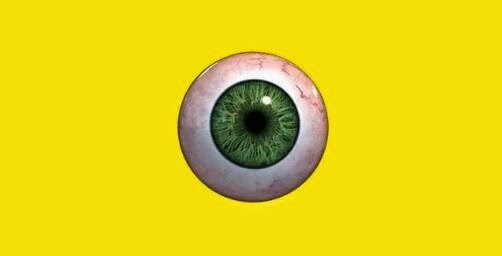 Everything about Utopia was so different; from the music, to the bright colour scheme to the wonderfully-drawn characters and all of these elements combined to mark it an enthralling watch. Despite its unique feel, Channel 4 decided to cancel Utopia which means that us loyal viewers will never get to see how Kelly wanted the drama to end. Although we wouldn't class ourselves as massive Doctor Who fans here at The Custard we have to admit that the sci-fi show experienced a return to form this year. Part of this was to do with the casting of Peter Capaldi as his performance as The Doctor was markedly different from his recent predecessors. Jenna Coleman was given more to do as assistant Clara and their mismatched chemistry was a joy to watch on screen. 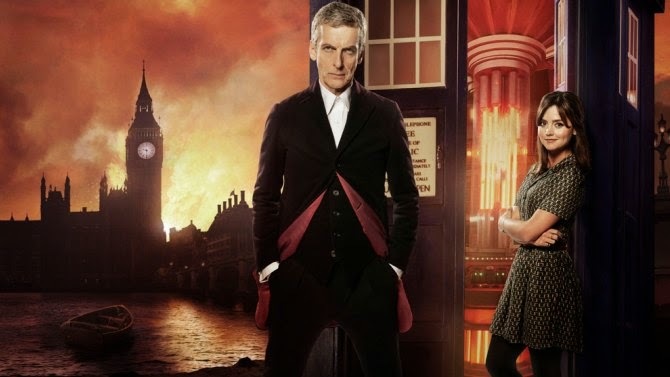 The episodes varied in tone but there wasn't a dud amongst the bunch and the finale was especially strong as we saw The Doctor battle against Michelle Gomez's barking mad villain Missy. 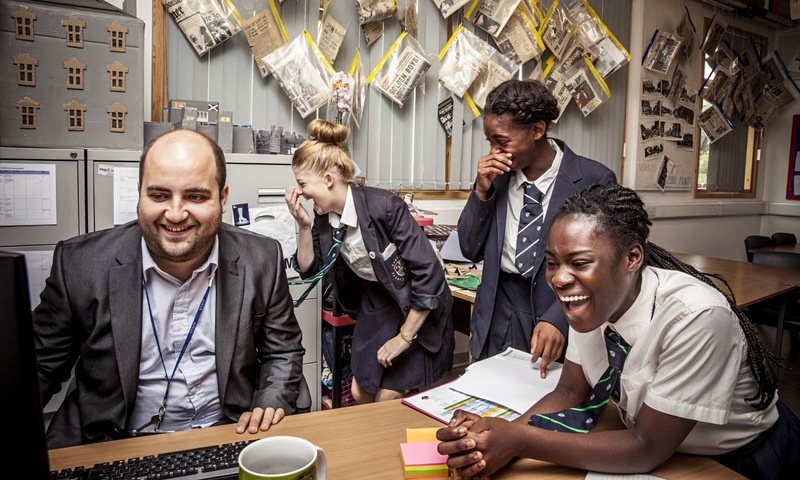 Educating Yorkshire was always going to be a tough act to follow but the pupils and staff of Frederick Bremer School in Walthamstow gave it a spirited shot. The third series in the Educating strand was full of similarly joyous and thought-provoking moments as well as including some memorable staff members. Our favourite episode had to be the one that included the school elections and which saw eccentric Joshua triumph over the hot favourites to realise his dream of becoming Head Boy. 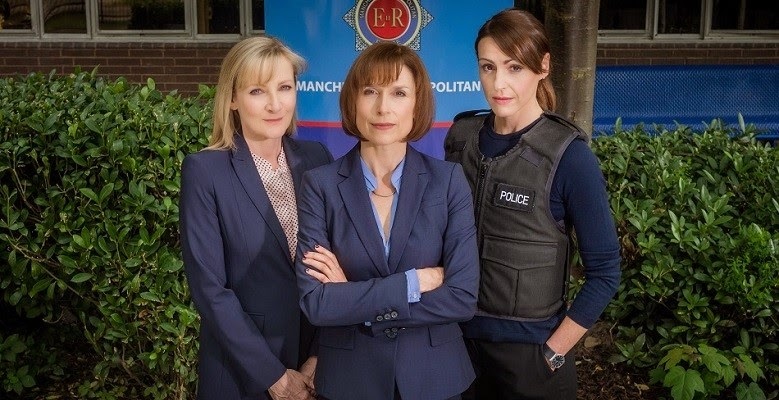 Scott and Bailey - Series 4 (September 2014, ITV) In a year that saw the unwelcome return of Lewis and a worrying amount of Midsomer repeats we were glad ITV still had faith in the best of their police procedurals: Scott & Bailey. The third series, with its jolting timelines had fallen a little flat, but this year's series saw the series back on top with top notch performances, engrossing crime stories coupled with the humour and humanity we've come to expect from this fantastic series. There's been no word on a new series in 2015 and although this year's final episode seemed to be drawing things to a close but if Lewis can retire and return, we're hoping we've not seen the last of our favourite crime fighting duo. 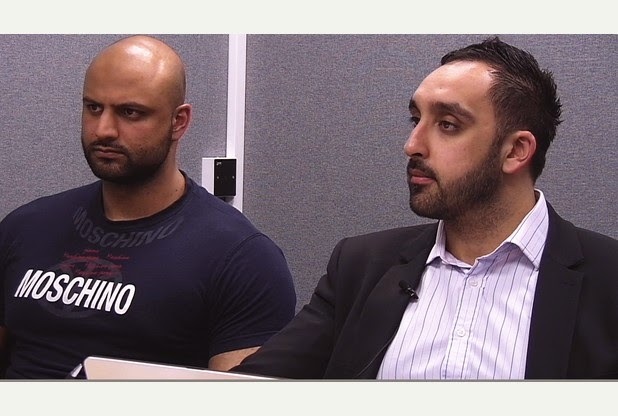 24 Hours in Police Custody (September 2014, Channel 4) The fix rig show which simply places cameras in a area and captures the action is something Channel 4 have basically pioneered of late. From the Educating... series to 24 Hours in A&E this unique style of documentary making means viewers can experience a situation with more realism than ever before. 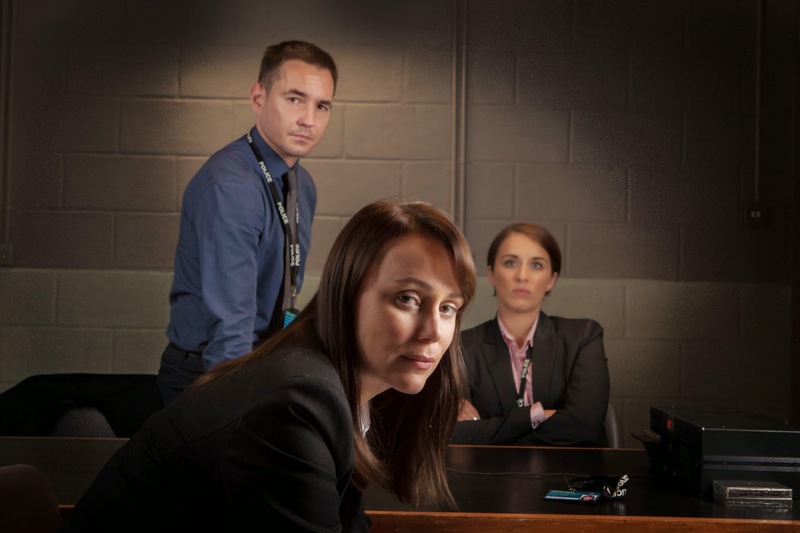 24 Hours in Police Custody, which returns early in the new year, was captivating lifting lid on modern day policing like no other series before it. When Mackenzie Crook's gentle sitcom first began we weren't as taken in by it as we possibly should have been. Thankfully some catch-up viewing introduced us to a joyous piece of work which celebrated the quaint world of the British eccentric. Both Crook and co-star Toby Jones were fantastic as metal detecting duo Andy and Lance whilst the shots of the British countryside were spectacular. At it's heart; Detectorists was all about its warm and wonderful characters and its a testament to Crook's writing and direction that we took to them as much as we did. Initially thought of as this year's Broadchurch; Jack and Harry Williams' eight-part drama turned out to be much more than that. For one thing, their story about a little boy who goes missing in France was much darker in tone and had some rather bold characterisation for a BBC One prime time drama. 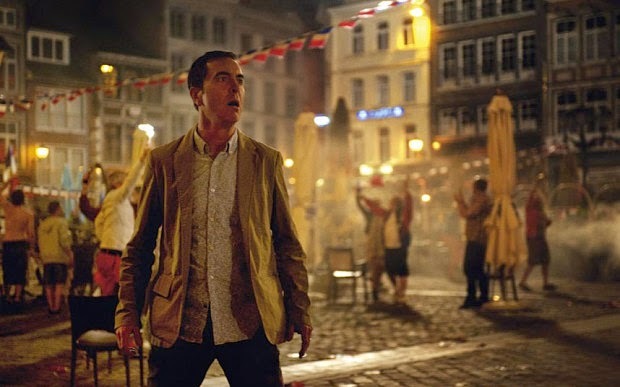 At the heart of it though was the plight of two parents, brilliantly portrayed by Frances O'Connor and James Nesbitt, who had spent the last eight years not knowing what had happened to their son. We were kept on tenterhooks as the Williams brothers simultaneously told the story over two different timelines and waited with baited breath to find out just what happened to Oliver Hughes. As consistent viewers of TV drama; we at The Custard TV often find fact-based stories to be a little dry. That can't be said of Peter Morgan's dramatisation of the miscarriage of justice that occurred when former headmaster Christopher Jefferies was arrested for the murder of his tenant Jo Yates. Director Roger Michell, a former pupil of Jefferies', directed the two-parter beautifully and artistically presented the story in an aesthetically pleasing manner. However, the drama will be best-remembered for the fantastic central turn by Jason Watkins who got Jefferies' every mannerism spot on and made the character utterly sympathetic from the get-go. 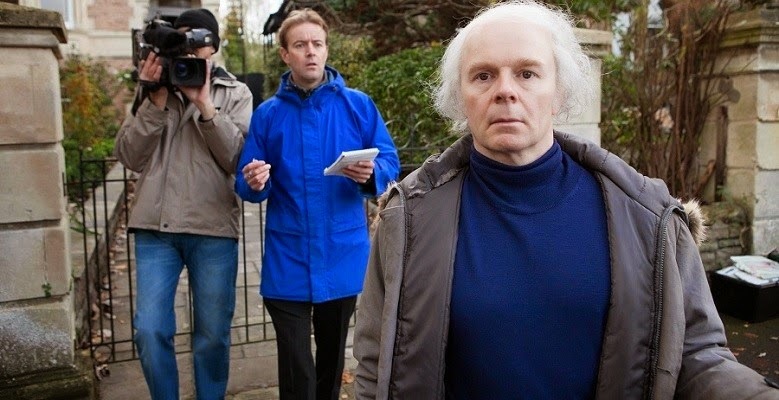 The themes of press intrusion were well-handled but never laboured and we ultimately found The Lost Honour of Christopher Jefferies to be one of the biggest dramatic surprises of the year. So there you have it. Do you agree? On behalf of the writers and contributors to the site I'd like to thank you for visiting us this year. It means a lot that people value our opinions, listen to the podcast or interact with us on social media. We wish you all a very Merry Christmas and we hope to see you for more telly in 2015! Well, that's a good thing but I love to read sally O'Dowd's writing the most. She writes in such a beautiful way where reality reflects.Creativity is contagious is one of her such writings.